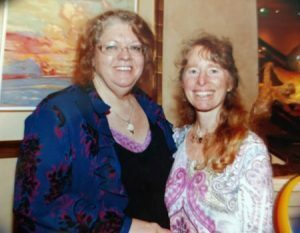 These are only a few of the many testimonials about Lynn for her therapeutic techniques and training classes. I’ve spent the last 13 years in agony. I was suffering from migraines and daily headaches due to issues from a brain surgery gone wrong by design. That’s a different story though. During those years I had several skull surgeries culminating into a loss of almost half of my skull on the right side. It literally felt like someone was trying to pull my fake skull off every time the clouds moved too quickly and heavily. Which, in Eugene Oregon, is just about every 3 days! I had no hope left when I was referred to Lynn. I certainly didn’t believe that her soft touch and micro movements around my skull would do ANYTHING to help ease the vicious pain I had started calling my “brain baby” over the last 10 yrs or so, because of its tantrums, and because it dominated my every move in life. I’ve only seen Lynne a handful of times over the past couple month, no more than 4 I believe. And although my brain is still damaged from the surgeries, I have been noticing that I haven’t needed any pain medication in days! (For me this is absolutely unheard of!!). I’ve tried almost everything there is, I’ve changed my diet, I never drink, I exercise and eat healthily and engage and all the beautiful things life has to offer, but I was trapped by my pain and I had exhausted my options for harnessing my own healing. My doctors were of absolutely no use, especially the neurologists. Every time I see Lynn I am more certain that I could actually have a real life again. And for that, I cannot express my gratitude aptly with words. I saw Lynn after two different massive car accidents. Her therapy was a significant part of my recoveries. I had significant pain and the biggest problem being light sensitivity and headaches. She addressed them through massage and I immediately began to feel relief! It is always telling when Lynn’s massage has mastered the offbeat or off balance roadways inside, and the remarkable discovery of long-lost tensions hiding underneath the current presence. Thanks, Lynn, wish we were living closer. Lynn is an amazing therapist. Her knowledge and skill level make her my first choice whenever I’m in pain. I slipped on the ice 3 years ago and could not draw a full breath for weeks afterward. I had full recovery after one session. April 3, 2017, Ryan H.
Hi to the new neighbors, I want to introduce Lynn Van Norman. She has helped me and my pal Rip Taylor when nobody else could. Anyone should be happy to have her work with them. I and my family had the good fortune to meet Lyn Van Norman about 40 years ago. She consistently amazed me with her application of the “Berry Method,” learned directly from Lauren Berry. Over the years, I have referred dozens of people to Lynn, with outstanding results. Personally, years ago, she came to my rescue. My back was in pain from injuries playing racquetball and too many hours bending over a pool table. Lynn has been able to “push me back into shape,” time and again. Most importantly, she showed me stretching techniques and exercises to maintain my health. Lynn is amazing, kind and attentive. I had a three-wheel motorcycle accident. I sustained a third-degree separation to my collarbone. The surgeon performed an open reduction inserting 2 pins into the collarbone to bring the bone back together. The bone healed but I was left with a large numb area on my upper chest from nerve damage. I had this numbness for a year and thought it would be permanent.I saw several doctors and they were unable to help me. I had one session with Lynn and with her skills and expertise, she was able to restore this large numb area to its normal state. Lynn is a highly skilled professional. Her kindness and love for her patients go above and beyond any other healthcare professional. I recommend her highly and wouldn’t see anyone else. She cares and her follow-up over the years has meant the world to me. Absolutely amazing. I had fainted while walking and hit the ground pretty hard. My whole body was pretty out of wack but mainly my neck and head. She did some amazing gentle manipulation and I felt pretty well put back together. I also had a previous knee injury, and could tell something wasn’t sitting right, she seamlessly popped my meniscus back into place. I have had multiple car accidents over several years. My last accident was in 2016. I had neck pain, shoulder pain, low back pain and hip pain. I have been seeing Lynn for treatment. Her many years of experience doing bodywork has really helped me. She has a vast knowledge of anatomy, structure, and function. She has reduced my hip and back pain. She helped improve the range of motion in my neck and shoulder. A year ago I had thoracic surgery to remove cancer from my rib. After the surgery, I had a build-up of fluid in the area. Lynn has helped me immensely by administering lymphatic drainage techniques. She is able to reduce the excess fluid and get it moving! Her work is multi-faceted. I highly recommend her for whatever painful condition you may have. Click to learn more about Lynn’s therapies. Click to learn more about Lynn’s classes.